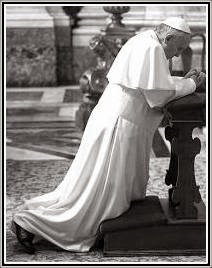 Hours after Cardinal Bergoglio was elected Pope, Rorate was the first to bring you inside information from Argentina on what to expect (The Horror: A Buenos Aires Journalist describes Bergoglio). 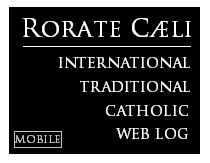 Now, Rorate, surrounded by friends around the globe, has been contacted by a Venezuelan source, eager to tell the world what exactly to expect of the new Superior-General of the Society of Jesus (the Pope's own religious society), Fr. Arturo Sosa Abascal, based on his experience in his native land, now wrecked by the Socialism brought on, in great measure, by Marxist "Catholics". In reality, the current situation in Venezuela, of widespread hunger and desperation, is exactly what Liberation Theology looks in practice. And Sosa was a big part of this. 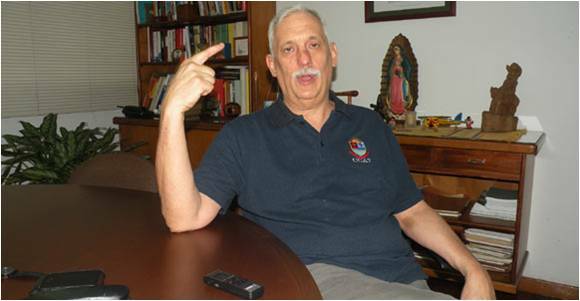 I have known Father Arturo Sosa Abascal for a long time. Unfortunately, what I have seen in him is not in line with the teaching of Christ. First of all, he has made of Marxism the lenses through which he sees everything including the Catholic Magisterium (which he calls merely“Christian Faith”). He, along with many other Jesuits in Venezuela, has worked for decades in order to build “comunidades cristianas de base” (“Basic ecclesial communities”) committed to building Socialist societies in Latin America and Venezuela. Communities which live Marxism and Christianity not as the philosophers, thinkers, theologians of Europe. (Here he seems to forget China, by the way), but in their own way. The Christian faith means nothing else than to be able to approach “the other”, that is to say, "the poor", the "oppressed", which becomes the “view point.” Thus, faith is mediated by other groups of men. The man of faith has a scientific approach to reality and he has to choose what scientific approach he adopts. Faith will be mediated by this option. In this moment of history, therefore, the right mediation is that of Marxism, because Marxism is the liberating scientific approach, because it is the best way to unmask the powerful and to guide the struggle of the poor. After this, he followed the conventional path of the Marxist Liberation theology: he rejects the transcendence of Christ’s Kingdom, proposes a political salvation, adopts materialism and even atheism, and assumes that Christianity must liberate the people politically as Moses did with Israel. (See this article: http://gumilla.org/biblioteca/bases/biblo/texto/SIC1978402_64-67.pdf). Father Sosa has lived his life in conformity with these “theoretical” foundations. At the Catholic University Andrés Bello (UCAB), the students could see never wearing signs of his priesthood. He gave talks side by side with González Fausz in order to uproot God’s worship from the students (spending money in the cult of God would be wrong: the best “Christian” tradition since John Chrysostom just took care of the poor). His work as editor of the journal SIC and as Director of the Gumilla Center served well to destroy the Faith of many a young person, including a very good friend of mine. (The reader can see his papers here: http://revistasic.gumilla.org/biblioteca-sic/arturo-sosa-s-j/). In 1989 there was a big popular uprising in Caracas due to the work of a liberal Minister of Economy. It was known afterwards that Fidel Castro was behind it. The “grassroots communities” of the Jesuits worked very actively and the radio in charge of which were mostly the Jesuits, “Fe y alegría”, played an active subversive role. Thus, they became co-responsible in the death of 2,000 people. This man who has worked very hard all his life to re-interpret Christianity from a Marxist viewpoint, who has done not only “theoretical” work, but direct Revolutionary work, is the one that the Jesuits now have elected as their General. Perhaps the growing revolutionary moment in Colombia, checked by the population itself in the referendum that voted down Marxist demands that would have been inserted in their own Constitution -- and for which their president won, unsurprisingly, the Nobel Peace Prize), demands that. But one still remains mystified: what is it that the revolutionary are after, still? In Venezuela they have systematically destroyed the productive infrastructure, agriculture, industry, public administration, the courts, hospitals, schools, even the energy industry that supports the country; they have killed thousands of people, they have the country at the edge of disastrous famine never before seen in such scale in the Americas. What is it that they are after? Probably the only explanation is the utter destruction of God’s world in order to build “a New World” in history. May God protect us from the revolutionary underworld. May God convert the hearts and open the eyes of his people. And, above all, may Christ protect His Church.